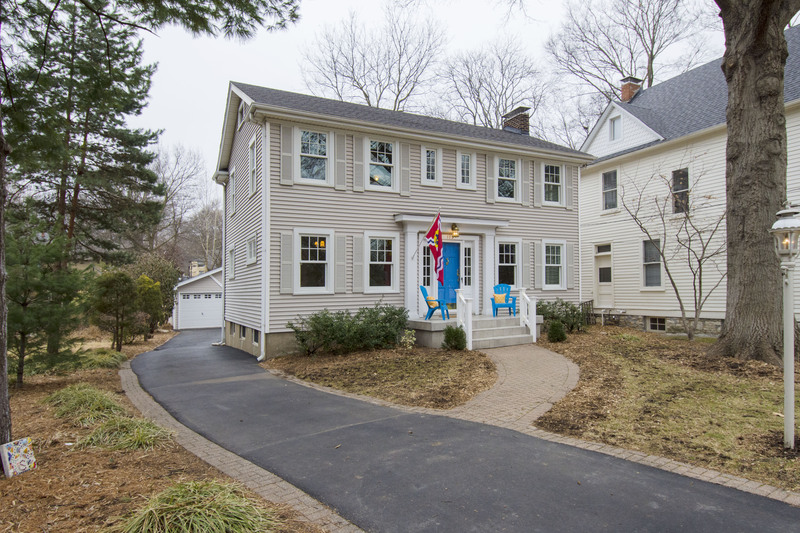 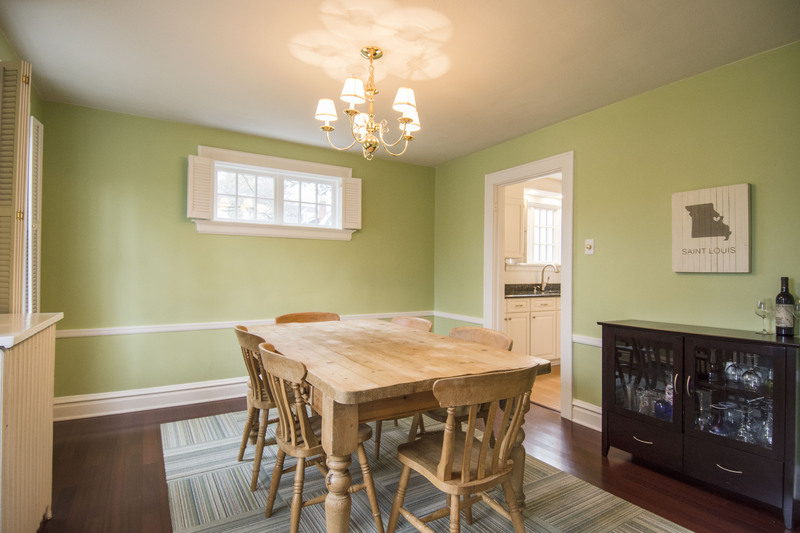 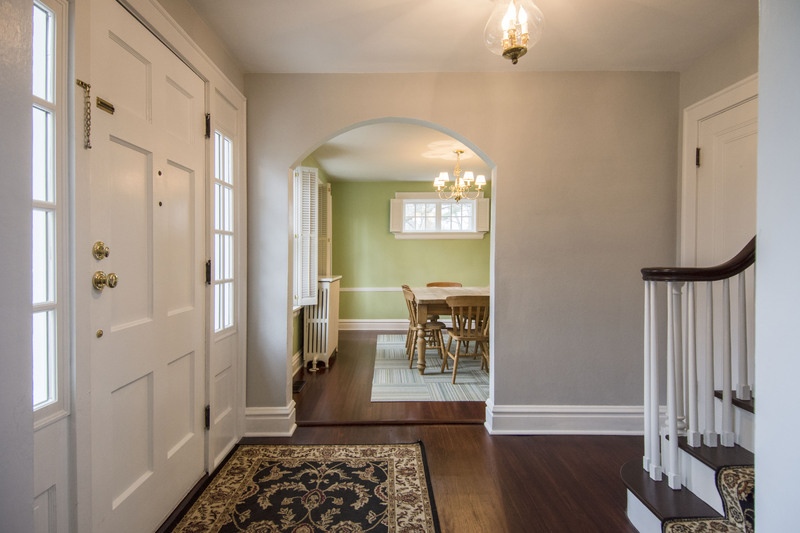 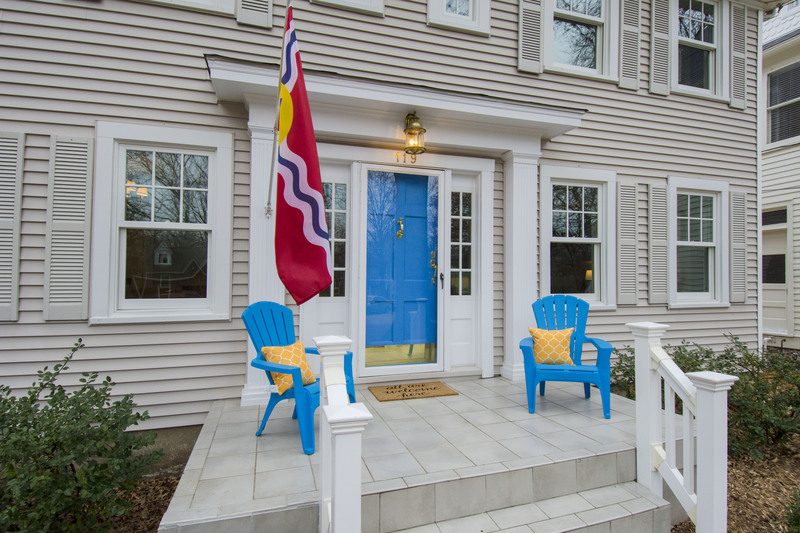 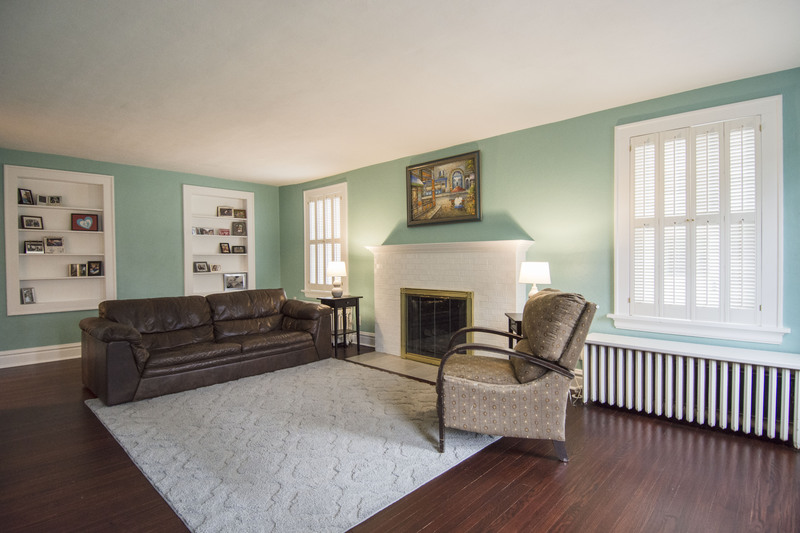 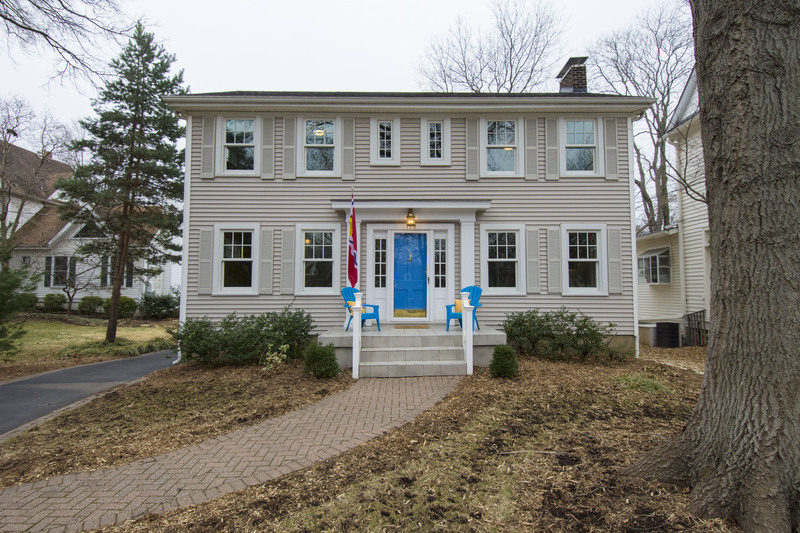 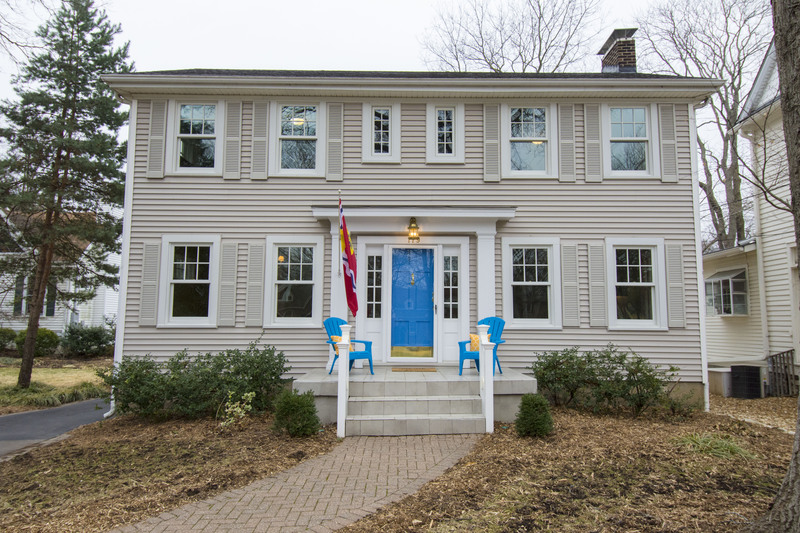 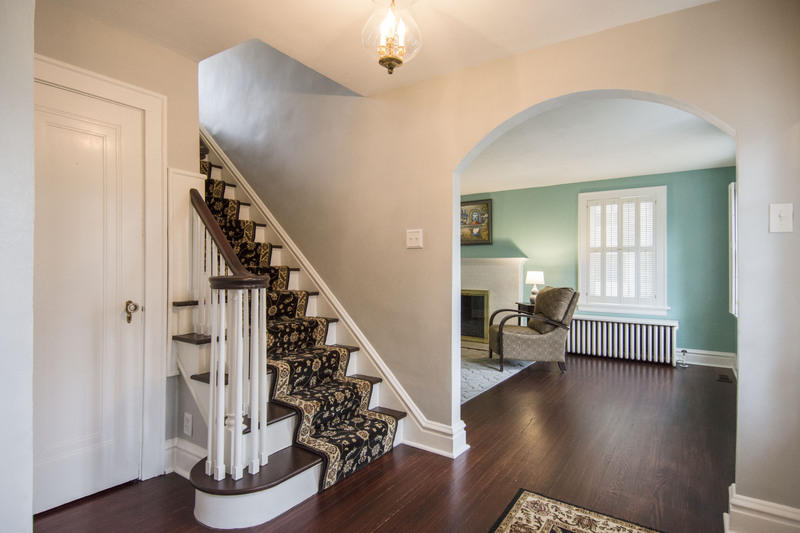 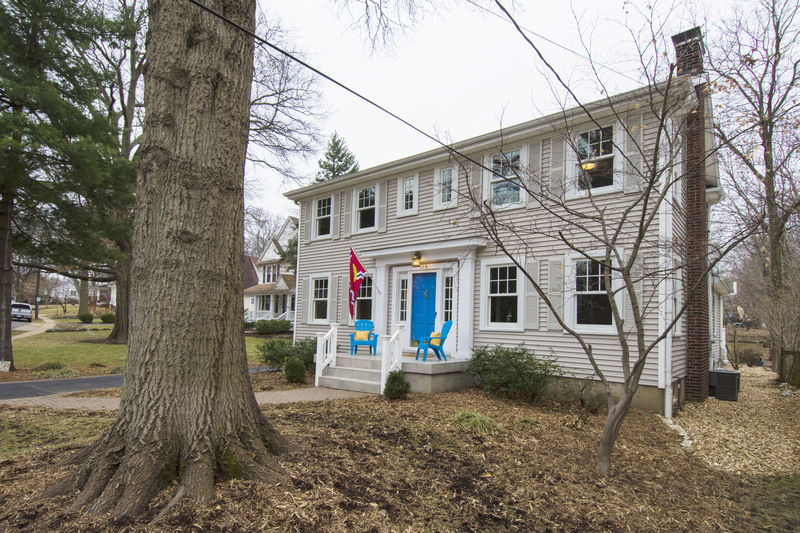 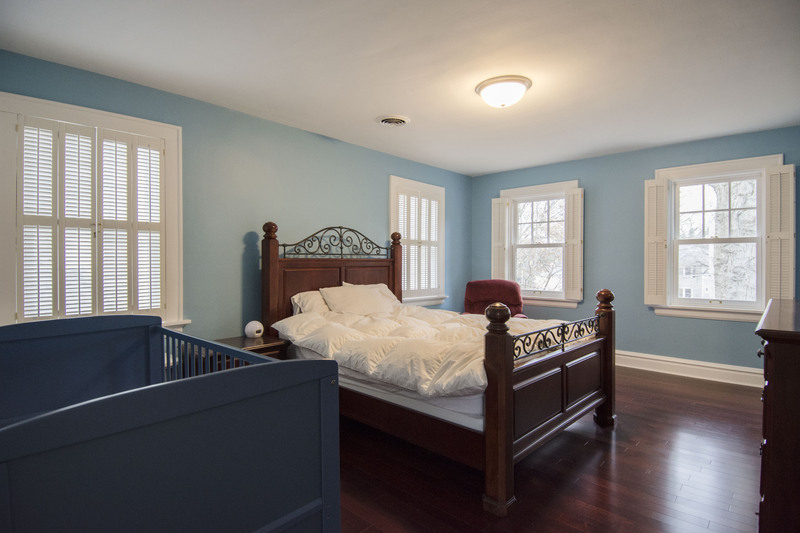 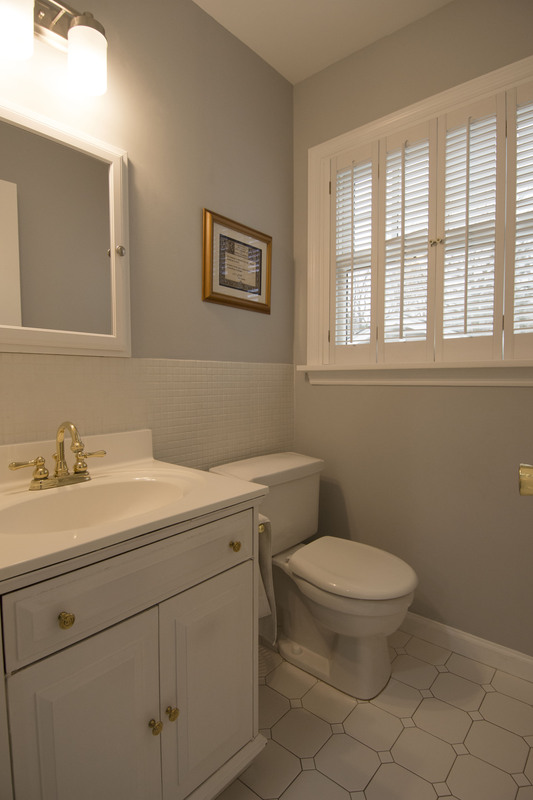 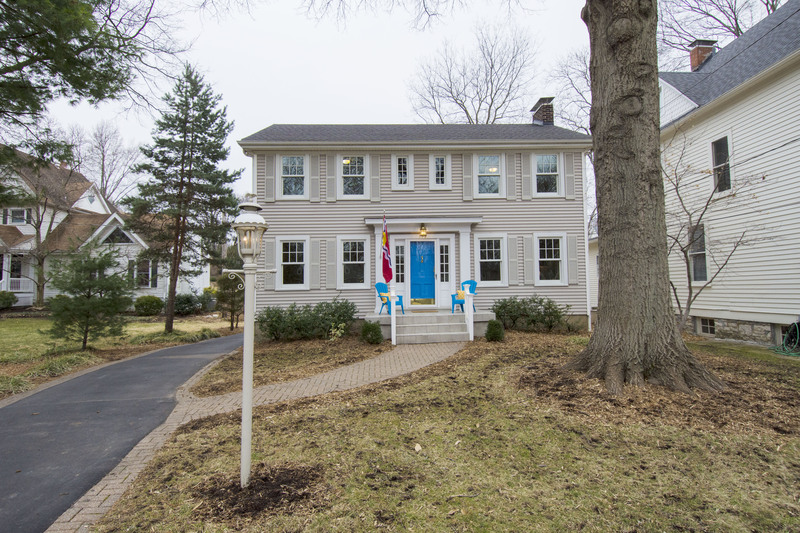 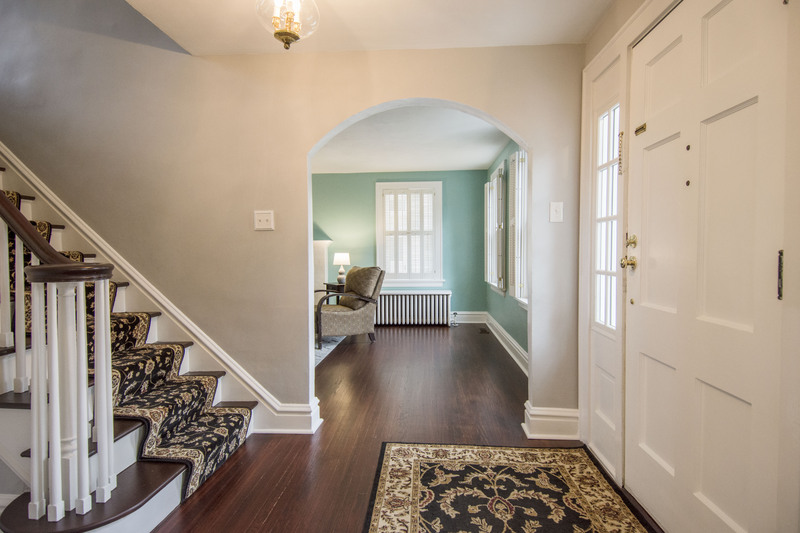 Circa 1929: Well appointed and well maintained classic center hall Colonial in a desirable, quiet Webster neighborhood! 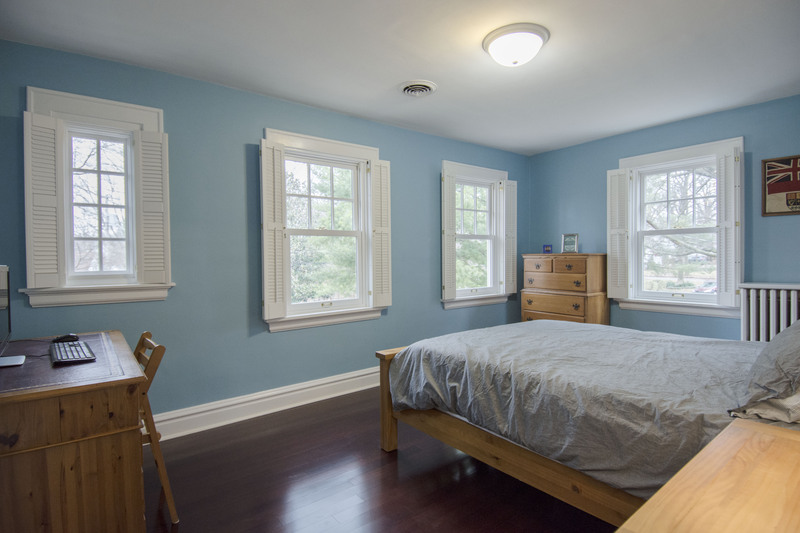 Beautiful hardwoods and plantation shutters throughout most of the home. 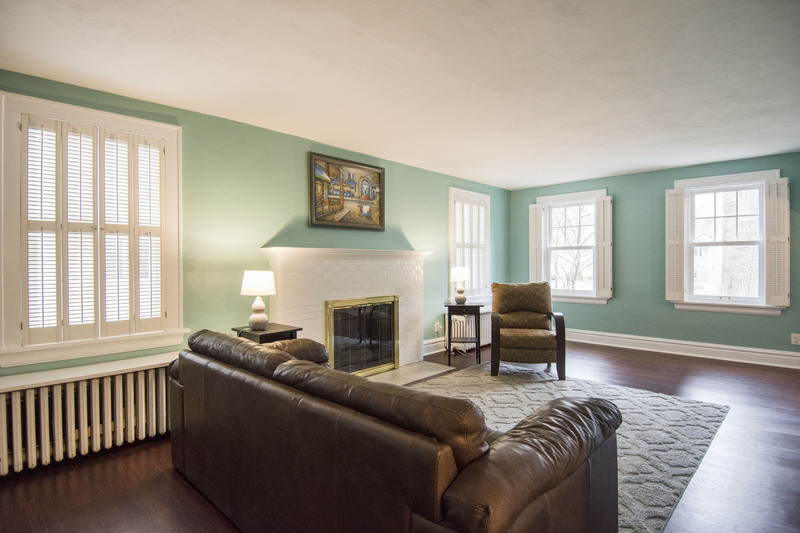 Formal LR with gas fireplace, stately brick mantle, built-in bookshelves and separate formal DR with chair rail. 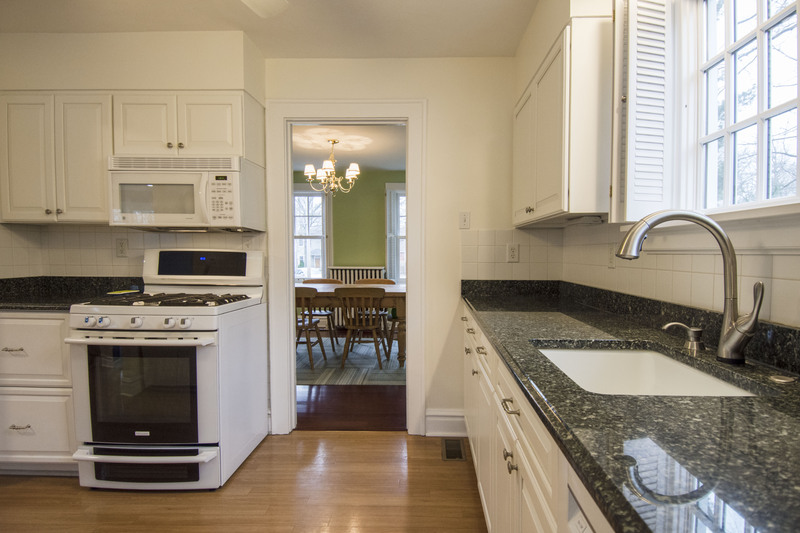 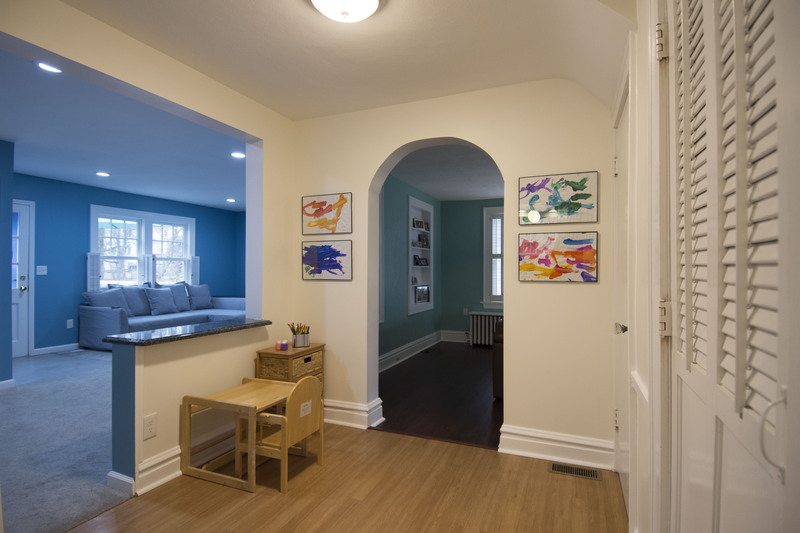 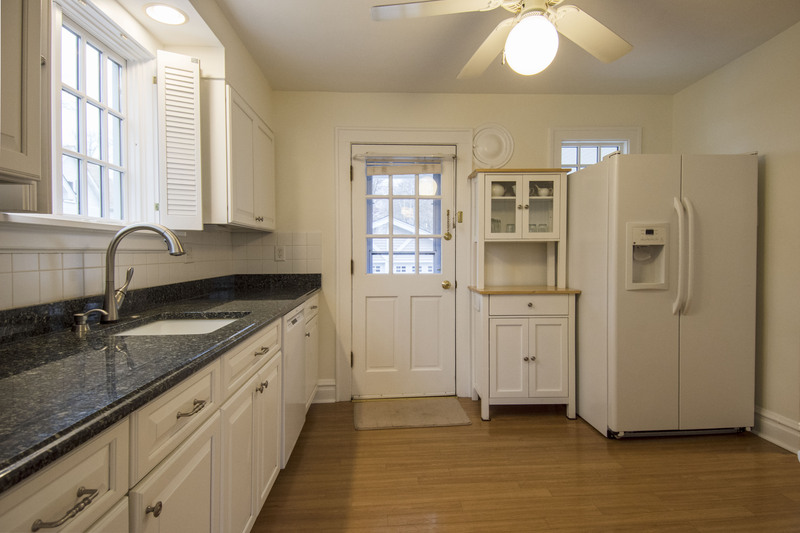 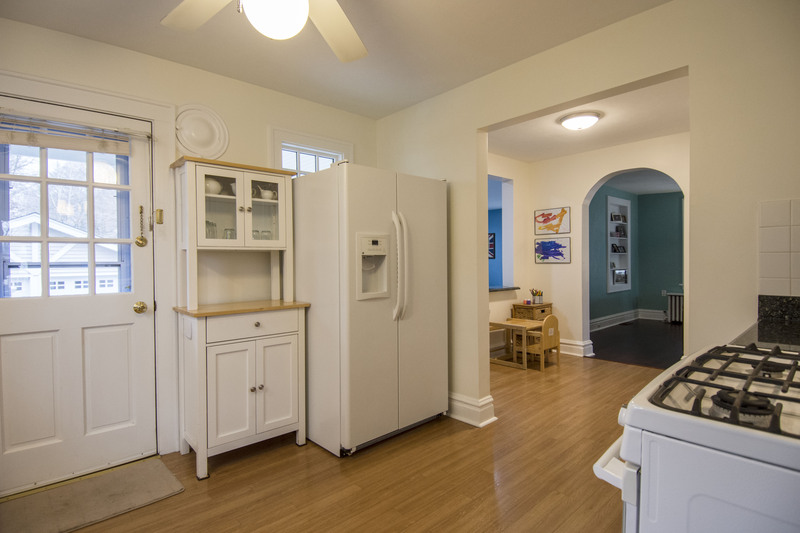 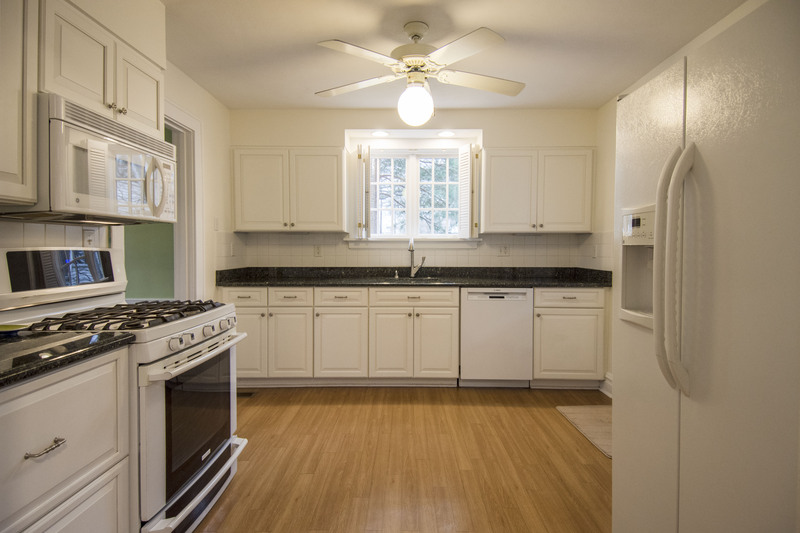 Updated, bright kitchen features custom cabinetry, granite countertops, Electrolux range, built-in microwave, pantry, connects to play area, could also be used as breakfast room. 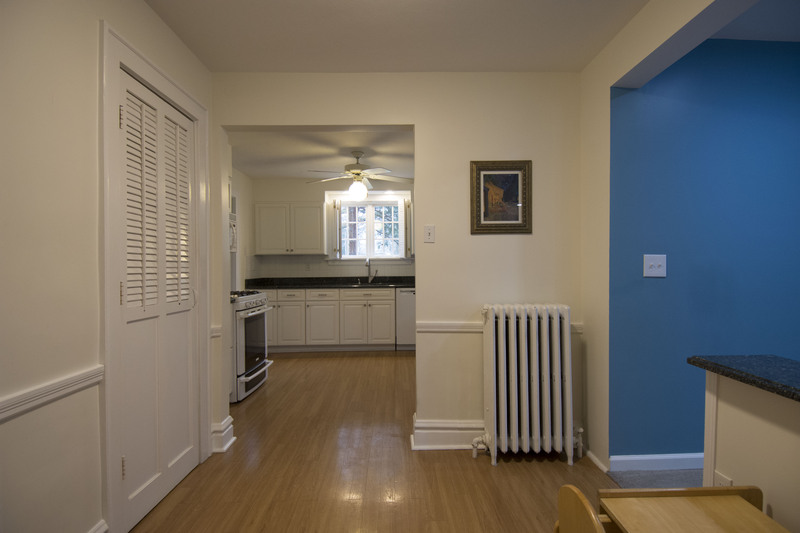 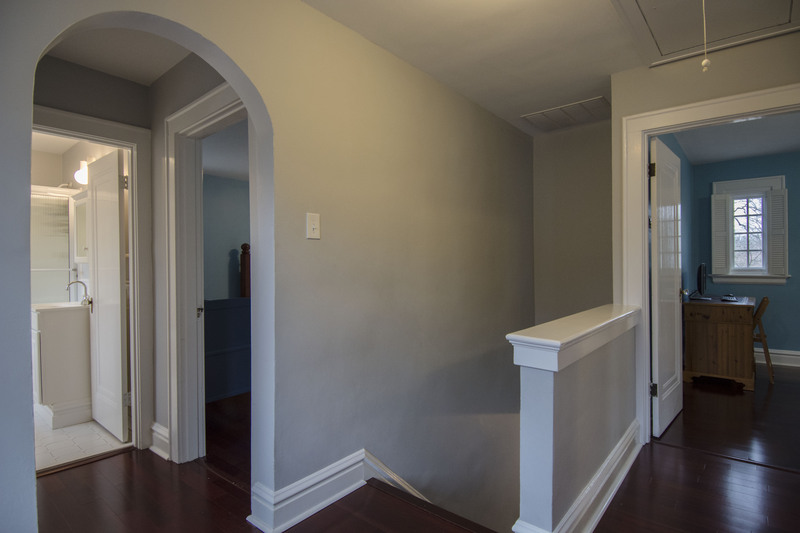 Recently renovated FR with new drywall, insulation, carpet and tile. 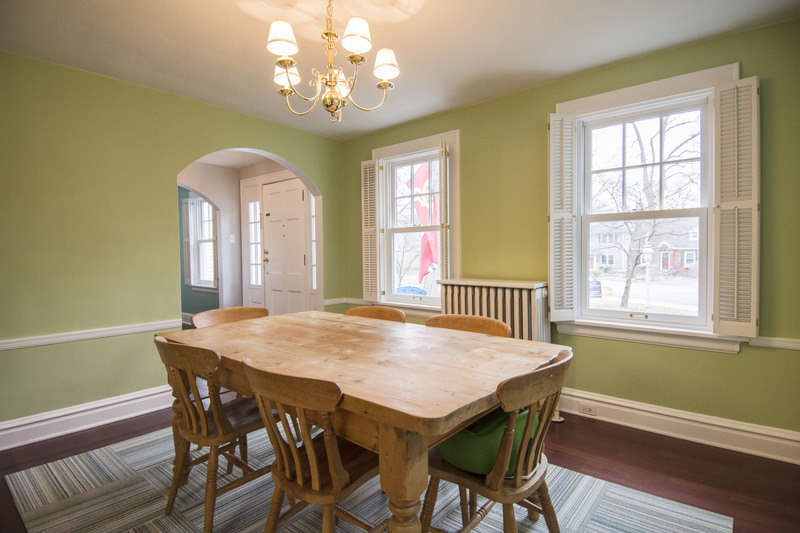 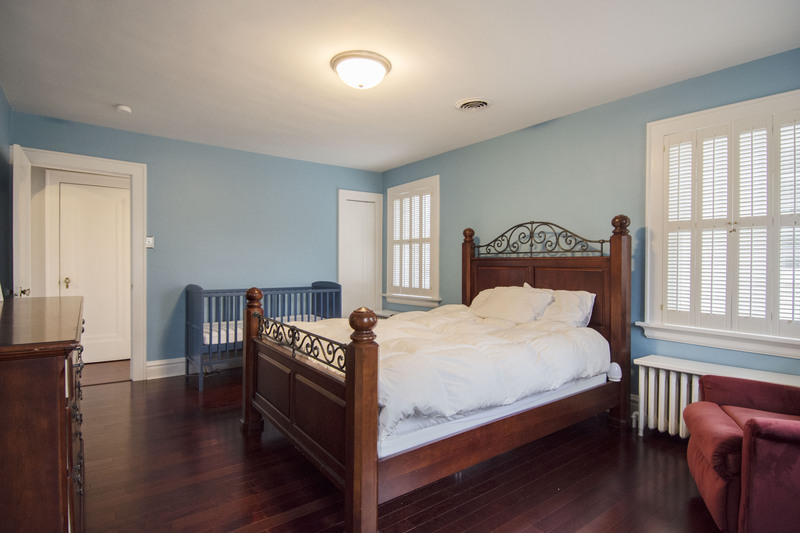 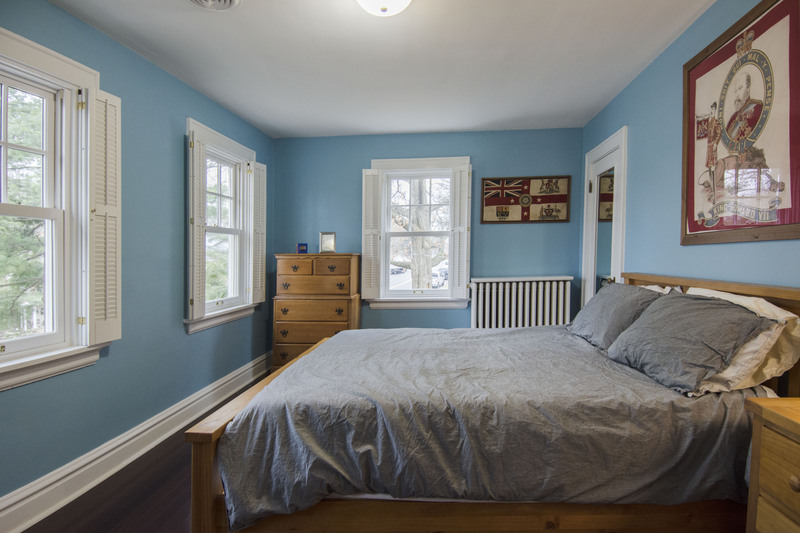 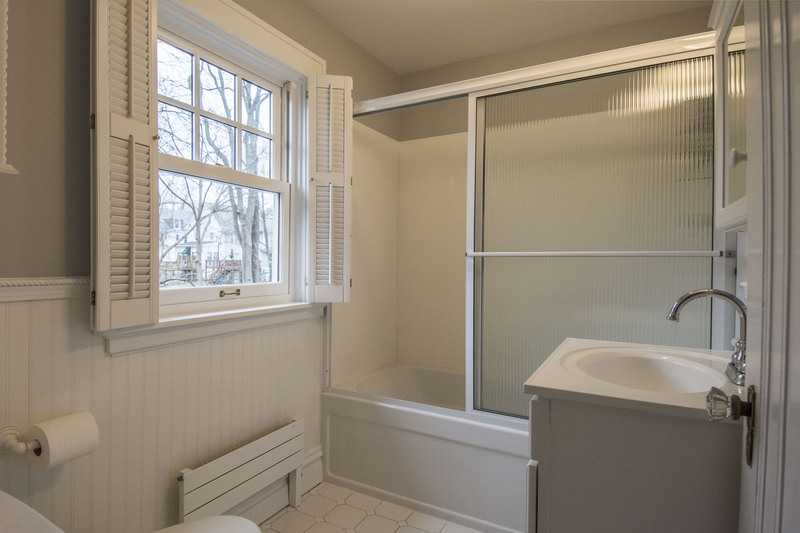 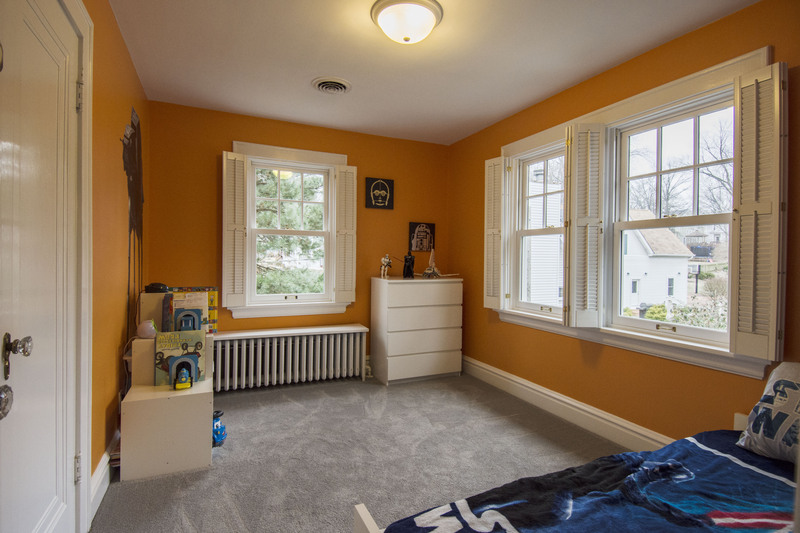 2nd floor includes spacious Master Bedroom, 2 more nice sized bedrooms and updated full bath. 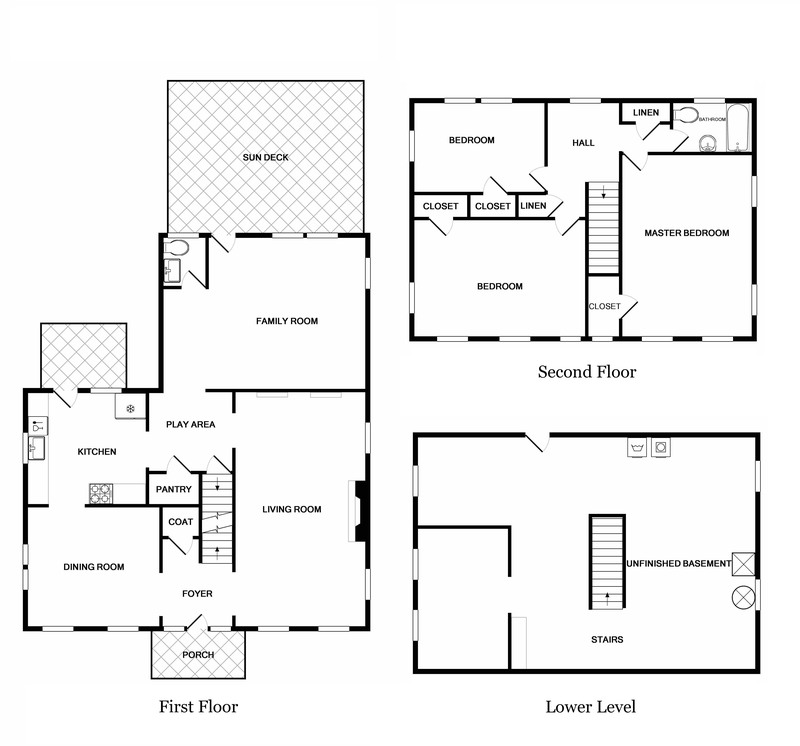 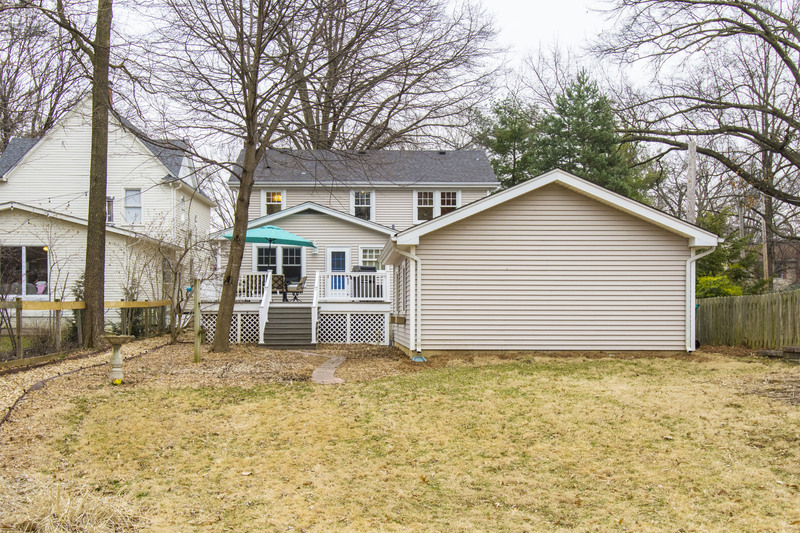 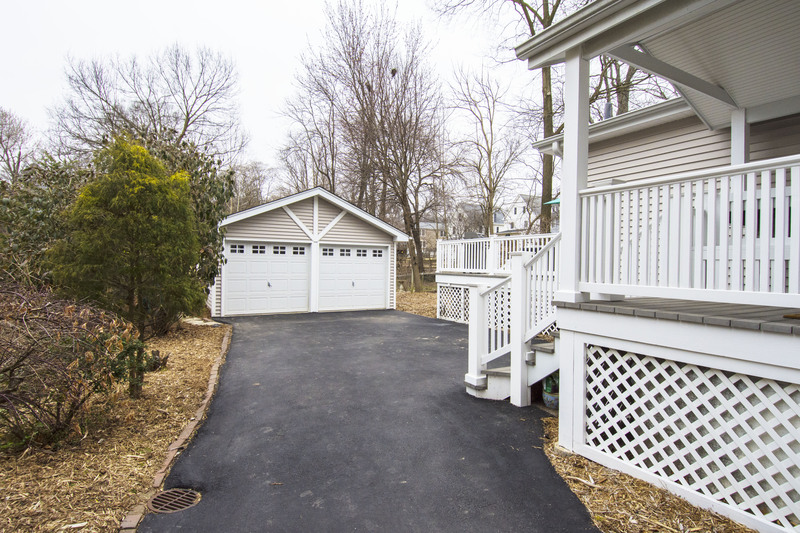 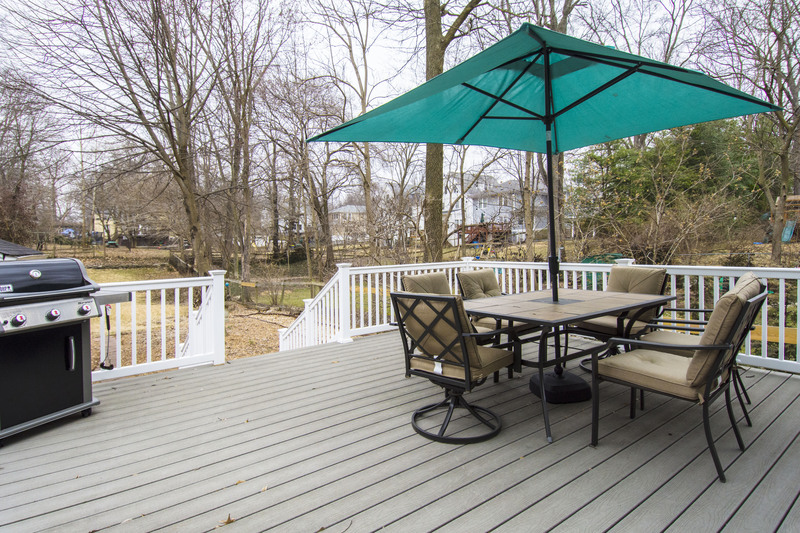 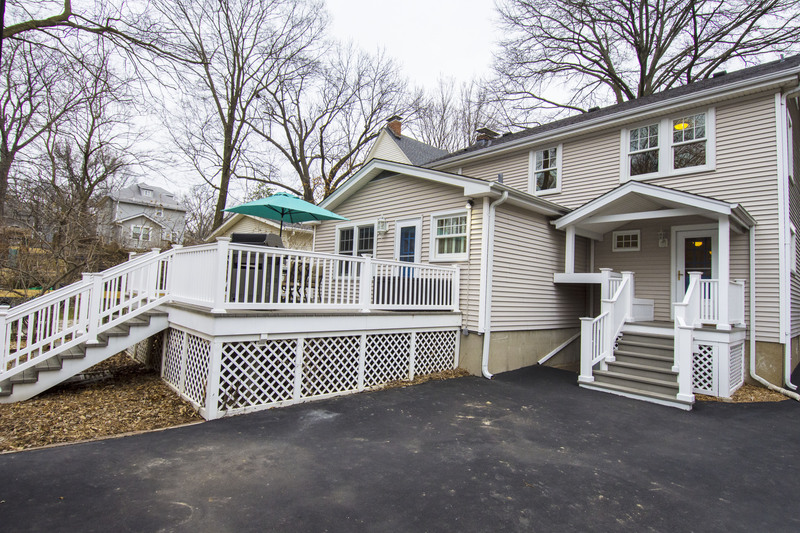 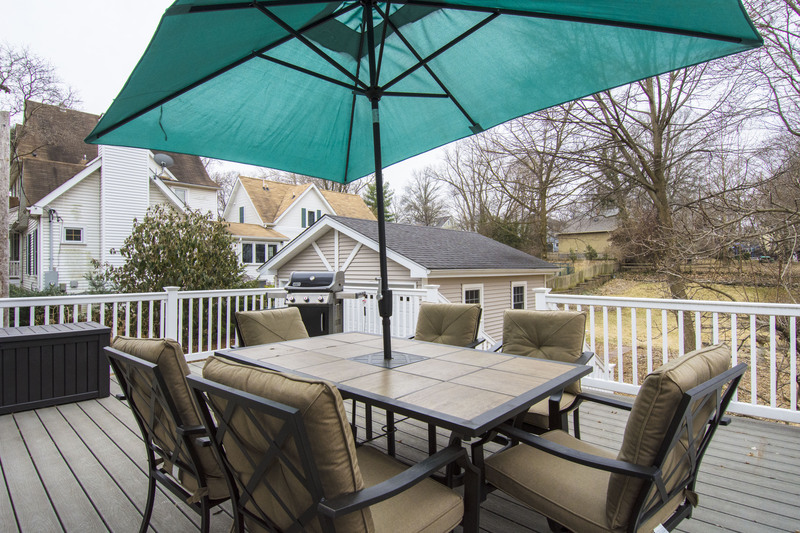 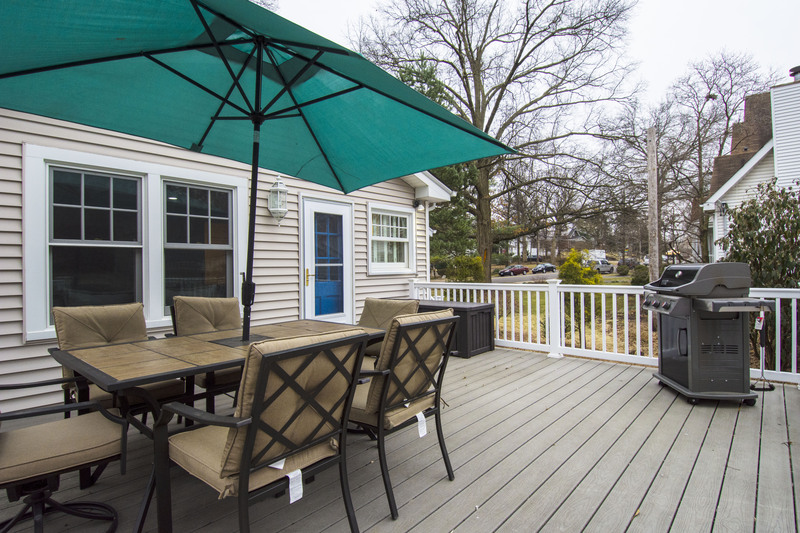 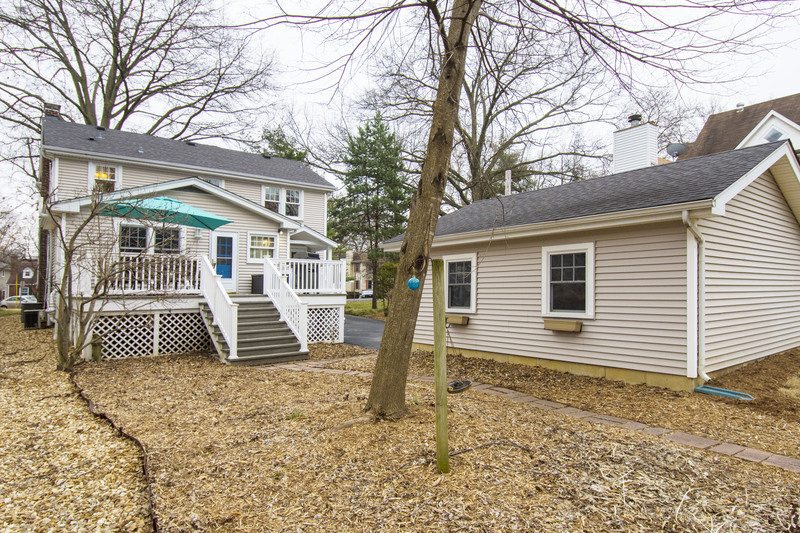 Large composite deck off FR leads to deep, park-like backyard and detached 2 car garage. 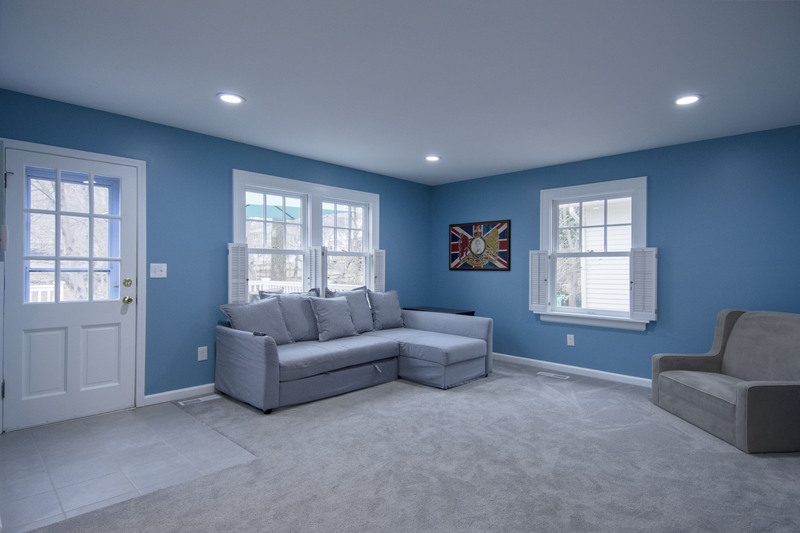 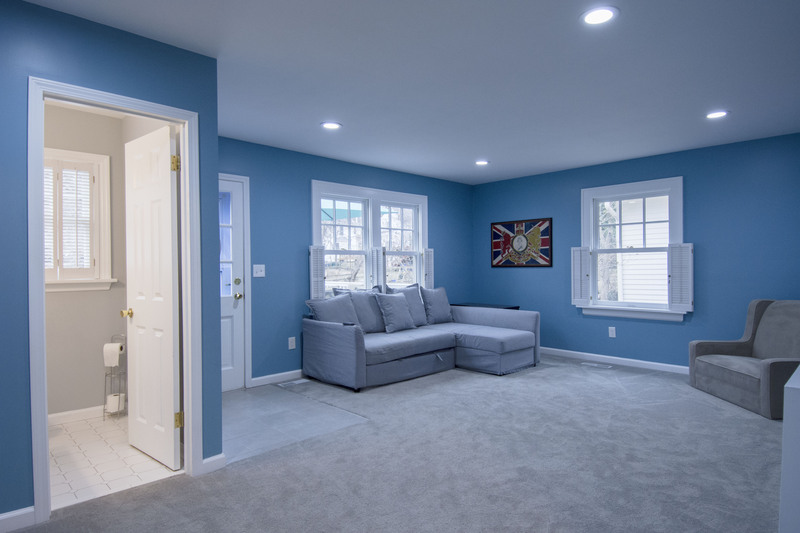 This move-in ready, charming home with an open floor plan is great for entertaining and family life, with an easy flow between rooms and outdoor living spaces. 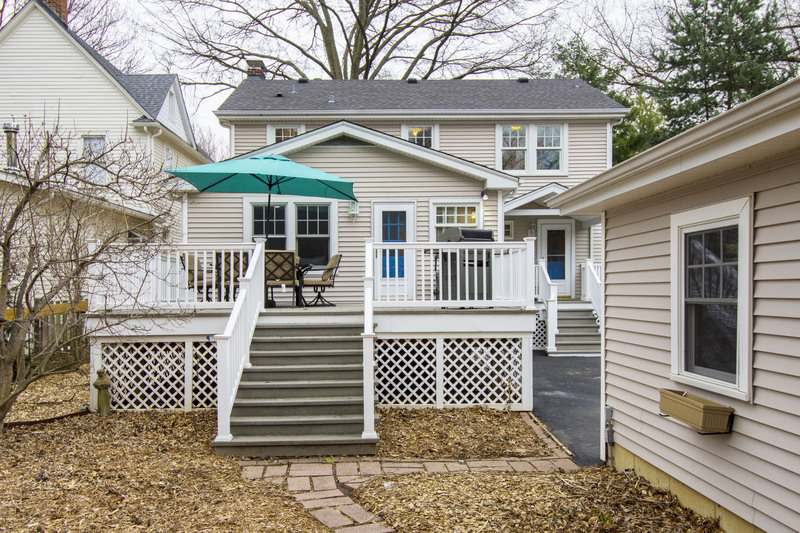 All of this on a tree-lined street, within walking distance to hot Old Orchard restaurants and shops. 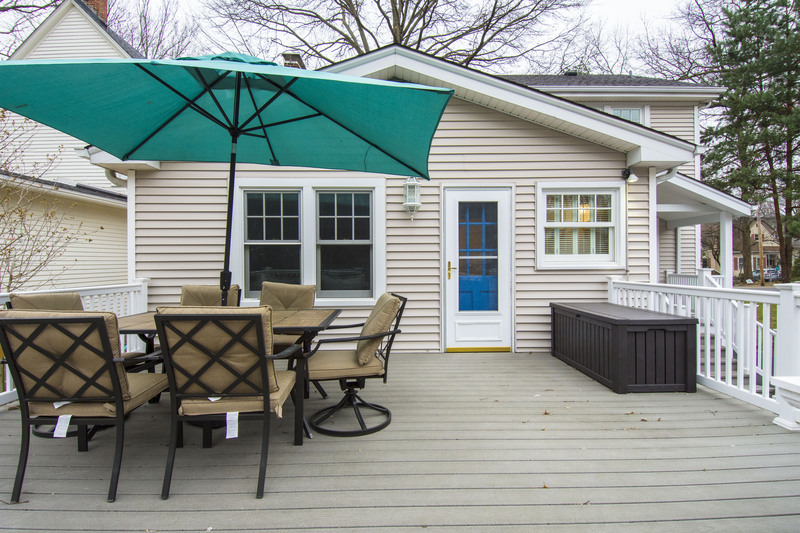 Completely updated throughout, move right in!